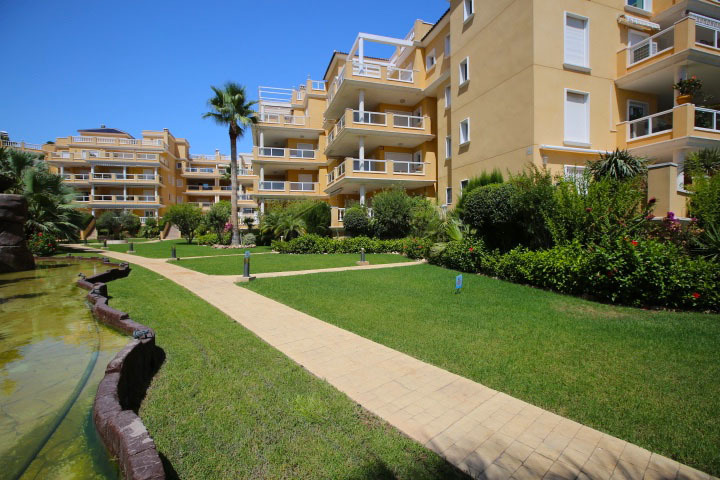 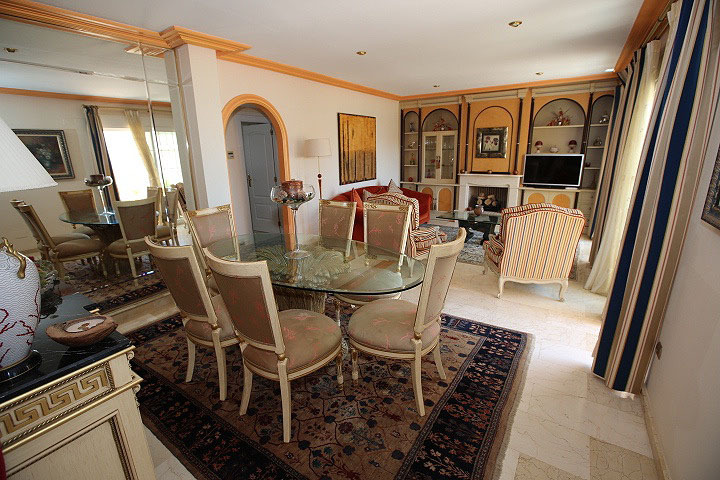 Fantastic penthouse in a luxury and very private urbanization with gardens, swimming pools and well kept communal areas. 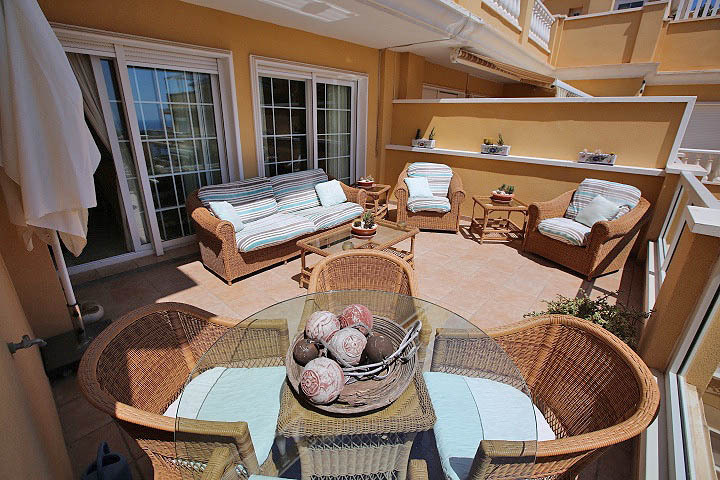 It is located just 50 meters from the sea and 4 minutes walk from the beach of Aguamarina. 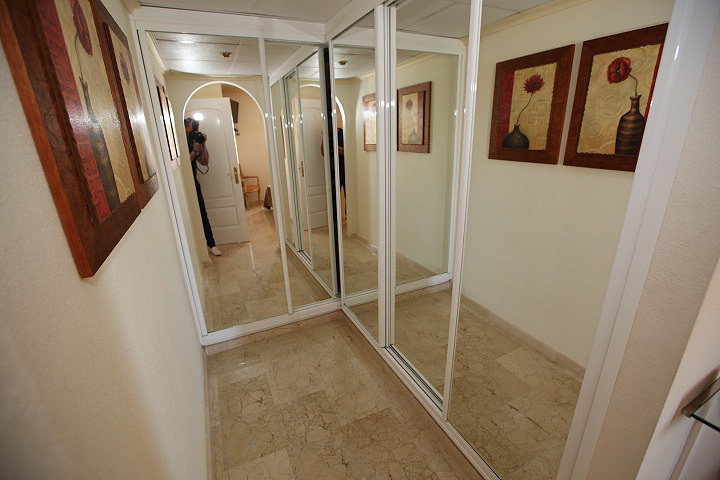 Very close to bars, shops, supermarkets and medical center. 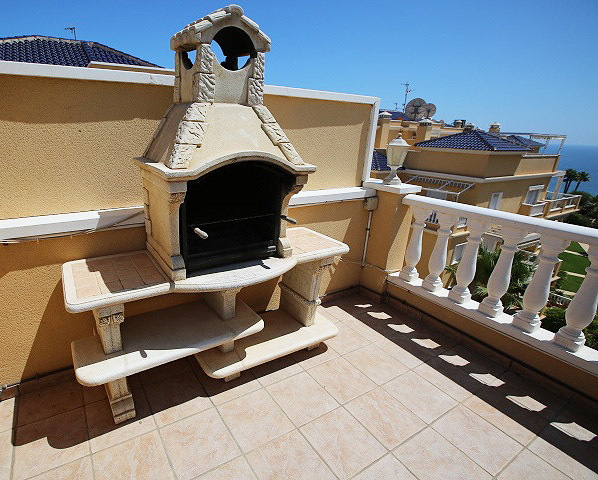 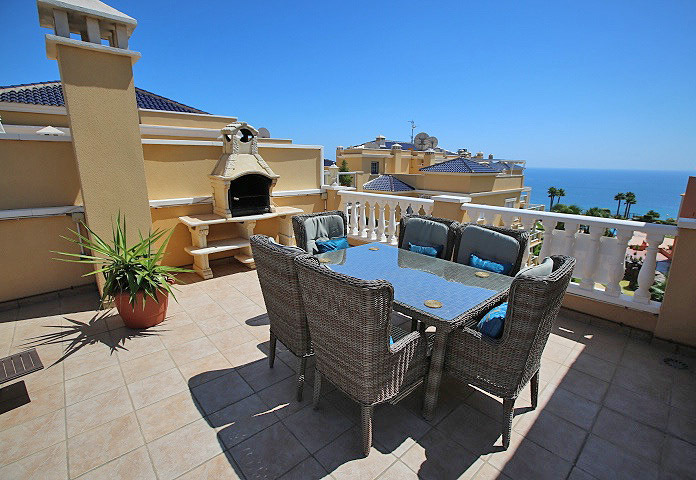 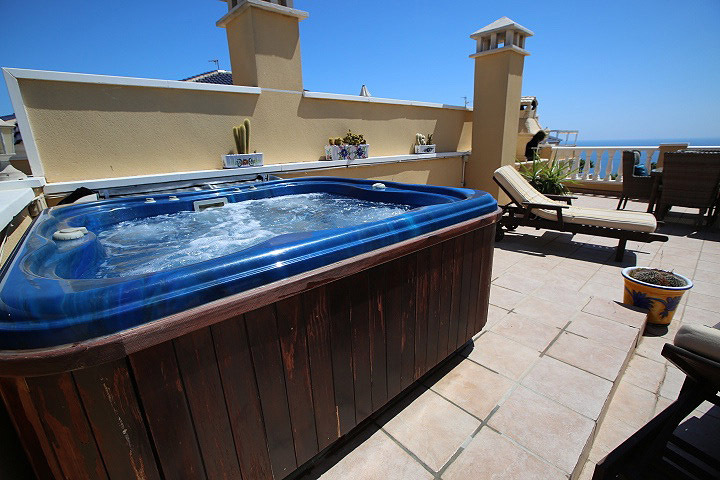 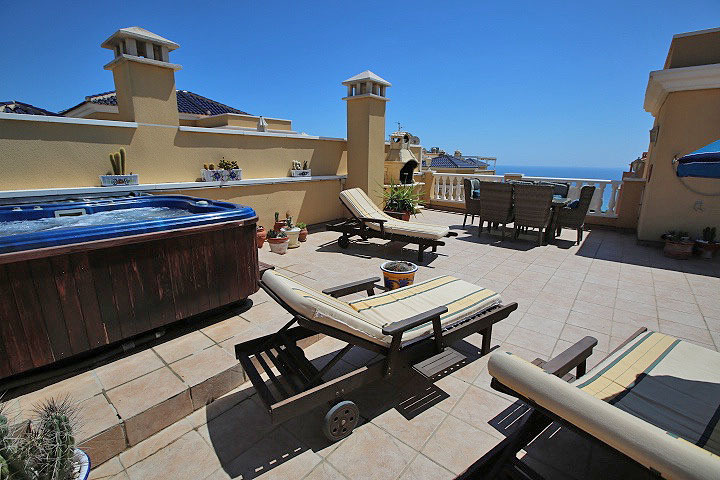 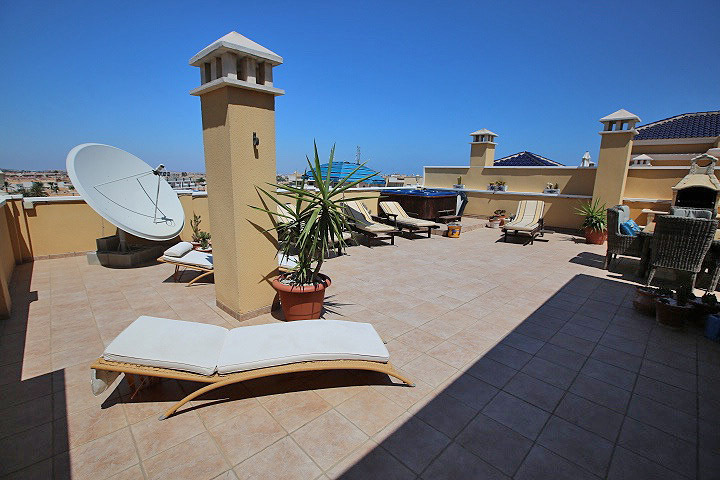 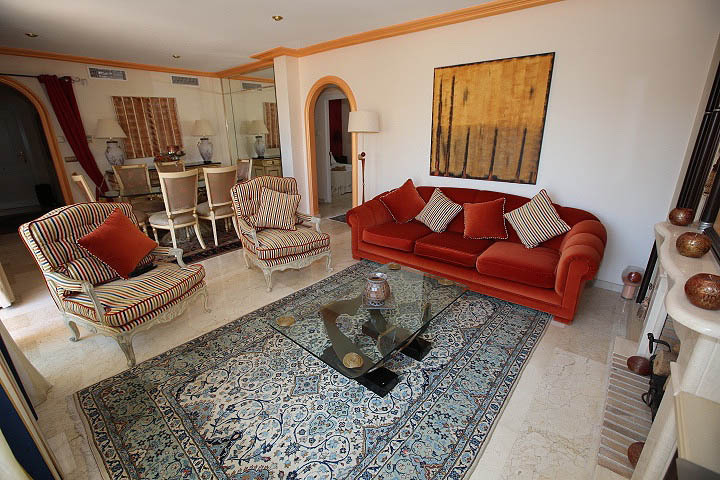 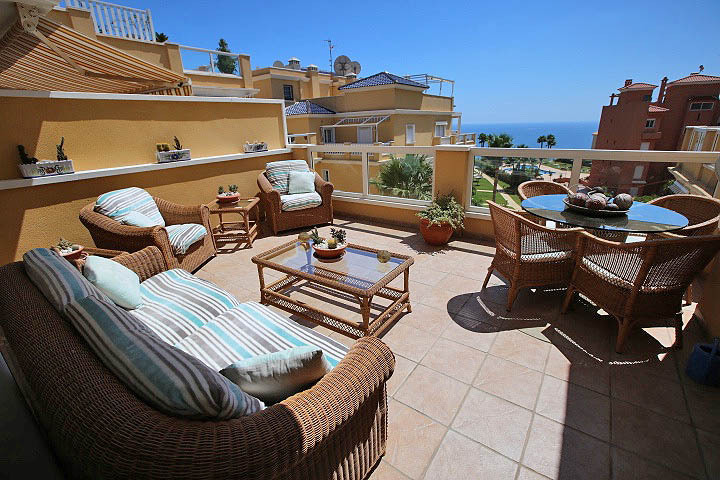 The penthouse is distributed in three bedrooms, two bathrooms, kitchen, large living room, large terrace and huge solarium with sea views, jacuzzi and barbecue. 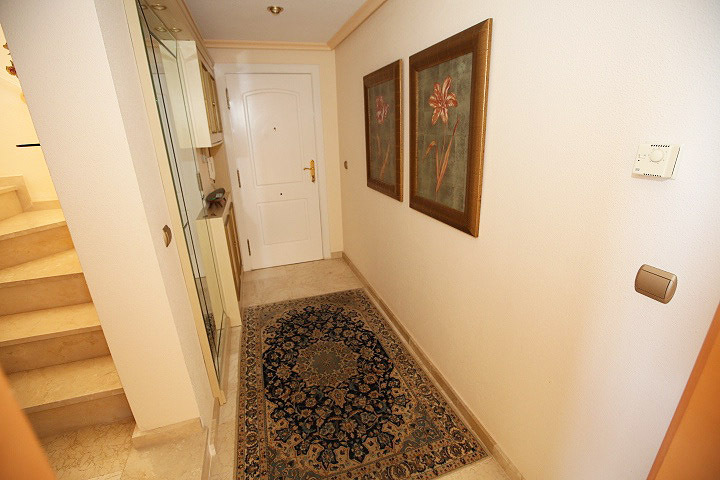 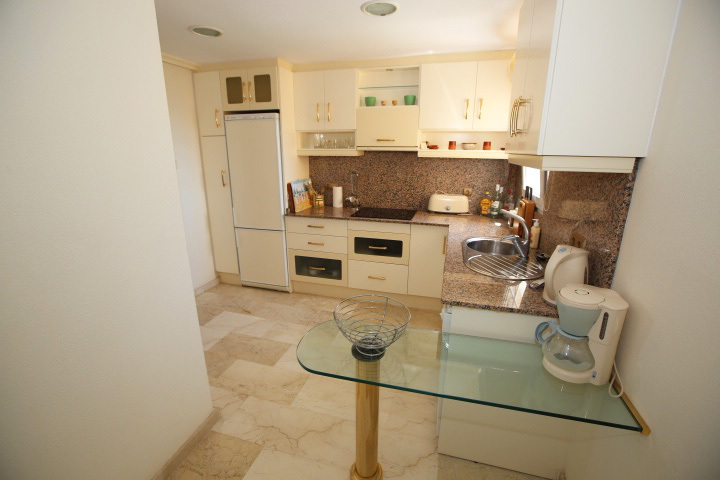 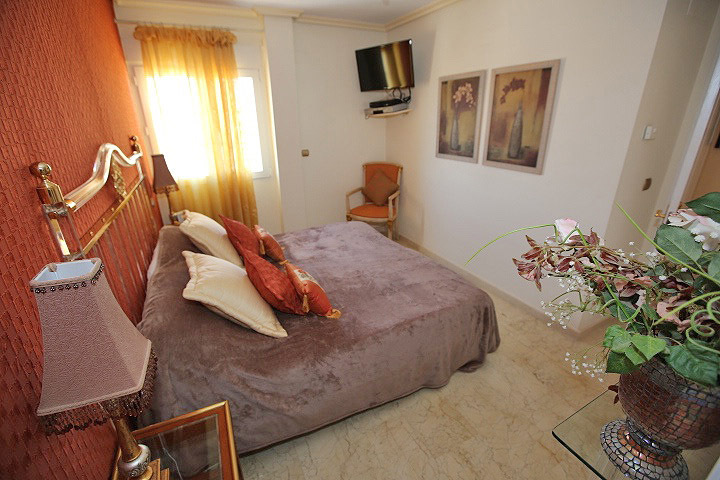 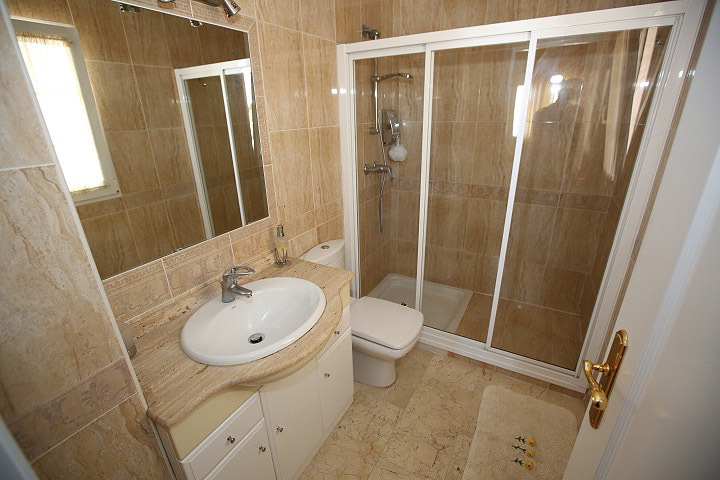 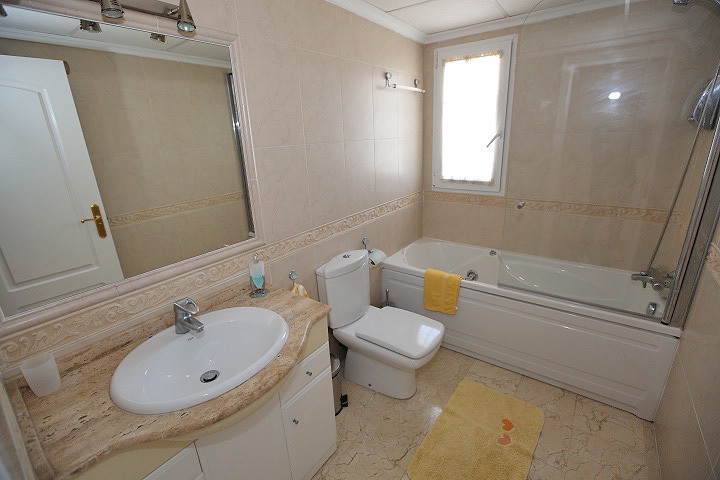 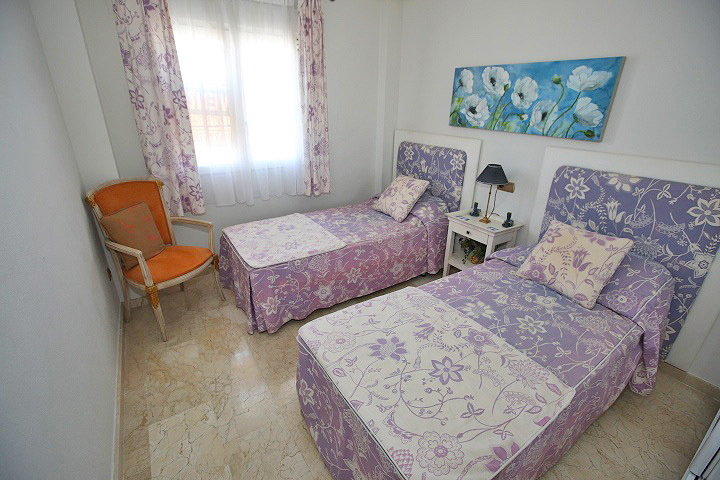 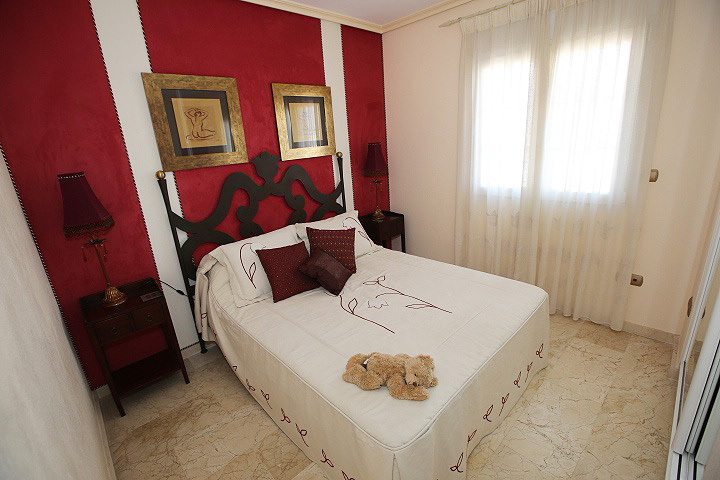 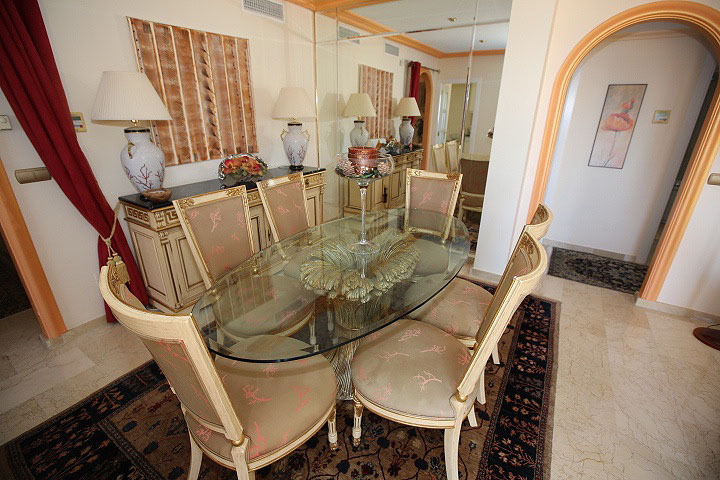 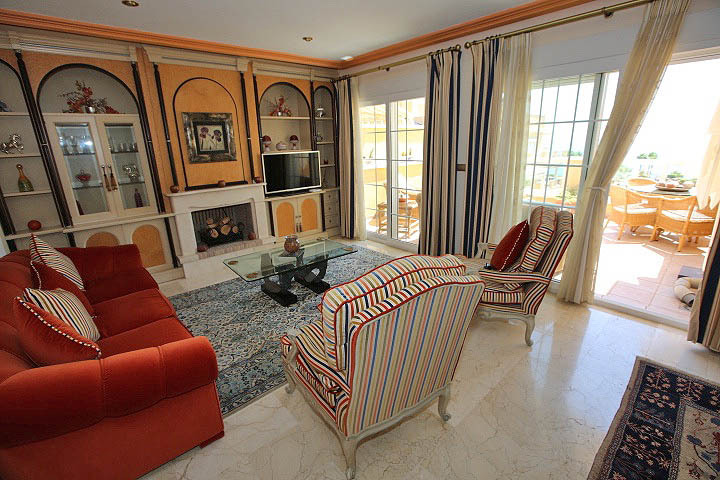 It is fully furnished and equipped with air conditioning and heating. 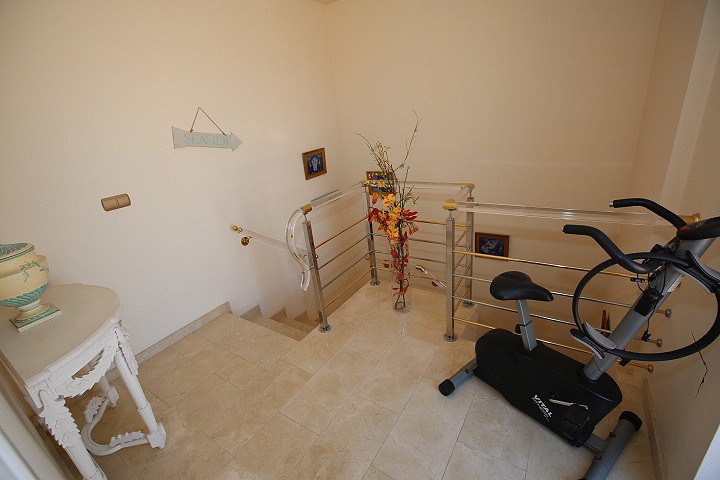 In basement floor has garage and storage.